Journal of Texas Archeology and History.org has been established to protect, preserve and promote archeology and history through public outreach, publishing, and distribution. Our signature work is a peer-reviewed publication that promotes professional and scholastic level research in the fields of archeology and history regarding a geographic region centered around the State of Texas that includes Louisiana, Arkansas, Oklahoma, New Mexico and the northern portions of Mexico. We call this region the “Texas Borderlands”. Upon peer review and approval by our Editor-in-Chief and final preparation for publication, it will be published in the online journal. Volumes close on December 31 and the next volume is begun on January 01. Because the Journal is a 100% digital publication, authors may take full advantage of technology to enhance their article through use of features not available in traditional publications. These enhancements include: extensive color, high-resolution photography, video clips and embedded sound bites, 3-D interactive renderings, and hypertext links to outside content and websites. Volume 2 now available in print edition. We are pleased to announce the complete JTAH Volume 2 is now available in print on Amazon.com, CreateSpace.com, and KindleDirectPublishing for the modest price of $18.36. At these websites, simply search “Journal of Texas Archeology and History” or “ISBN: 978-1530329342”. These paperbacks are produced as a high-quality, full color publication with our new cover design featuring Forrest Kirkland rock art watercolor renderings and contain outstanding articles of peer reviewed research concerning archeology and history of the “Texas Borderlands” region. This new paperback print edition accommodates those who require or prefer printed copies while the “Journal” remains freely available online for reading or to download and print on your printer or any other “print-on-demand” service at https://jtah.org/2016/02/27/volume-2-2015-publication-announcement/. Ceramics serve as one of the best-known artifacts excavated by archaeologists. They are carefully described, classified, and dated, but rarely do scholars consider their many and varied uses. Breaking from this convention, Myriam Arcangeli examines potsherds from four colonial sites in the Antillean island of Guadeloupe to discover what these everyday items tell us about the people who used them. In the process, she reveals a wealth of information about the lives of the elite planters, the middle and lower classes, and enslaved Africans. By analyzing how the people of Guadeloupe used ceramics–whether jugs for transporting and purifying water, pots for cooking, or pearlware for eating–Arcangeli spotlights the larger social history of Creole life. What emerges is a detail rich picture of water consumption habits, changing foodways, and concepts of health. 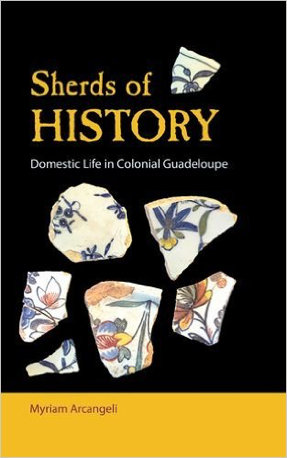 Sherds of History offers a compelling and novel study of the material record and the “ceramic culture” it represents to broaden our understanding of race, class, and gender in French-colonial societies in the Caribbean and the United States. Arcangeli’s innovative interpretation of the material record will challenge the ways archaeologists analyze ceramics. 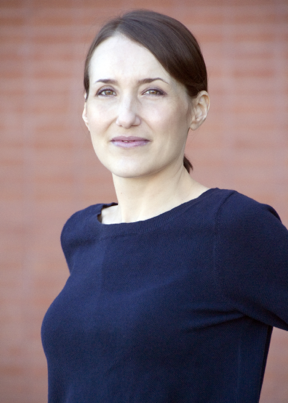 Myriam Arcangeli recently earned her doctorate in historical archaeology from Boston University. Her research on colonial-era ceramics in Guadeloupe–the basis for this book–explored the history of Creole culture and proposed a novel and original approach for analyzing and interpreting ceramics. Myriam has been interested in ceramics since the beginning of her career, and her first research projects examined the history of local potteries near Toulouse, in southwestern France. Intrigued by the colonial period, she then left for the United States, where she discovered American archaeology while excavating at Mount Vernon, the plantation home of George Washington. Currently, she is working on publishing her research in both French and English journals, and contributed to the forthcoming The Archaeology of Food: An Encyclopedia, edited by Mary C. Beaudry and Karen B. Metheny. We are currently in the process of updating our look. We’ll have things finished up soon. We appreciate your patience.